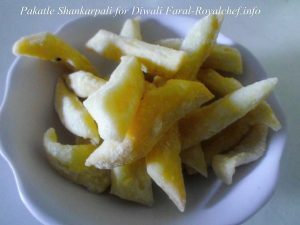 This is a Recipe for making at home tasty and delicious Pakatle Shankarpali or Shankarpali dipped in Sugar Syrup for Diwali Faral. 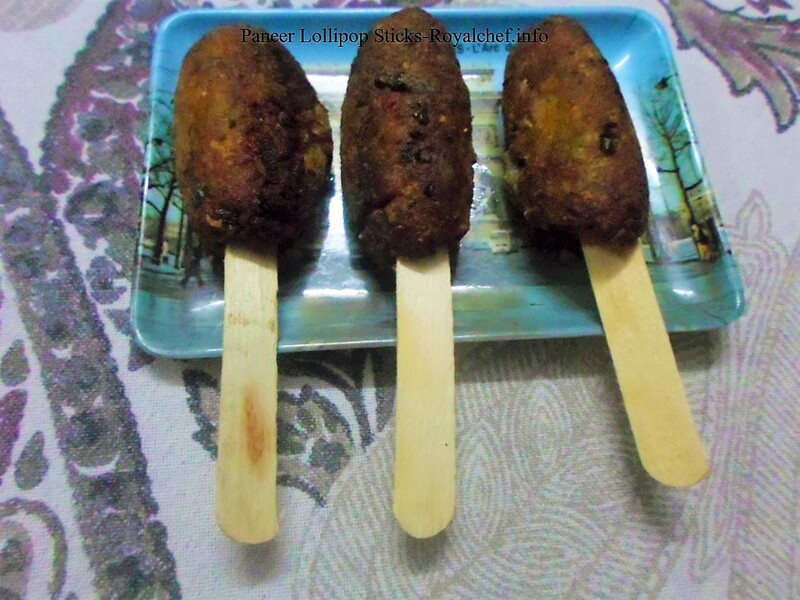 This Sugar Syurp dipped Shankarapli tastes sweet and tasty and also makes a great snack. Mix the Refined Flour, Baking Powder, Salt and hot Ghee and pour some water to prepare a thick Dough. Then keep it aside for about an hour. In another Vessel add the Sugar, Water and prepare a thick slightly sticky Sugar Syrup. Prepare three equal sized balls from the Dough. Roll one ball into a thick and big Chapati like shape and cut it into 1” strips. 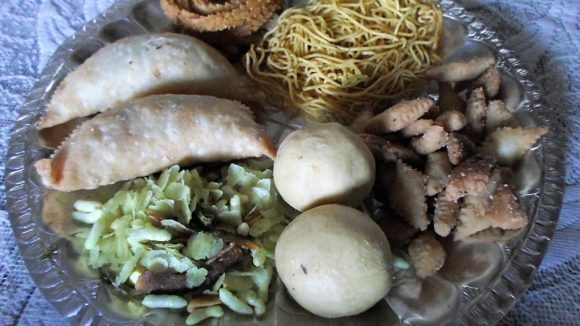 Roll the other two balls and prepare the Shankarpali using the same procedure. Heat the Ghee in a Kadai and deep fry the Shankarpali to a slightly golden yellow color on a slow flame. Deep fry all Shankarpalis in the same way. Then add the Shankarpalis into the Sugar Syrup, mix it well and keep them aside for 1-2 hours. Then store the Shankarpali in a tight Container.